>Plywood is made from different species of wood and therefore come in different qualities. Also plywood sometime of same species and number of ply differ from manufacturer to manufacturer because of change in method of manufacturing. Plywood can be classified on basis of different features. Hardwood ply are made from veneers or wood obtained from species like Teakwood, Gurjan or Birchwood. Plywood made from veneers obtained from above mentioned trees are also termed as 100% hardwood plywood. Therefore hardwood plywood are expensive product too. Softwood ply are made from veneers or wood obtained from species like Spruce-Pine-Fur (SPF) or mango wood. 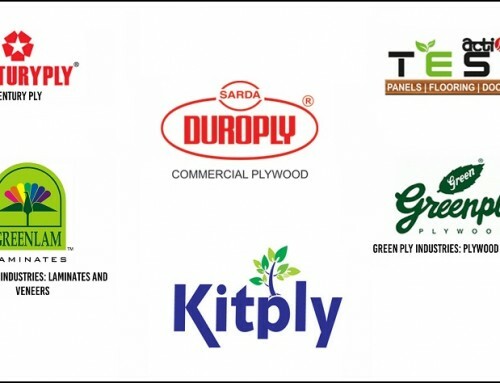 Softwood ply is not as strong as hardwood ply and therefore come for cheaper rate than hardwood of same number of ply. Usually hardwood is used to make plywood for its strength and durability. 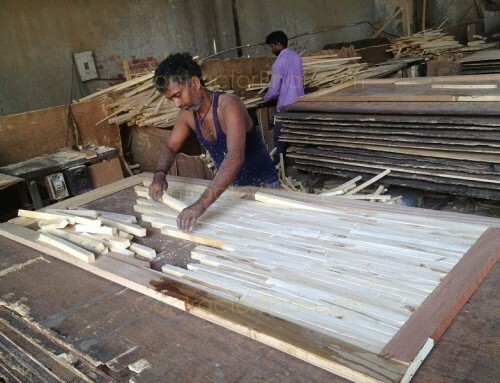 Nevertheless, some manufacturers use softwood to make plywood to sell low cost plywood. There are some who use a combination of both, softwood and hardwood to make plywood. 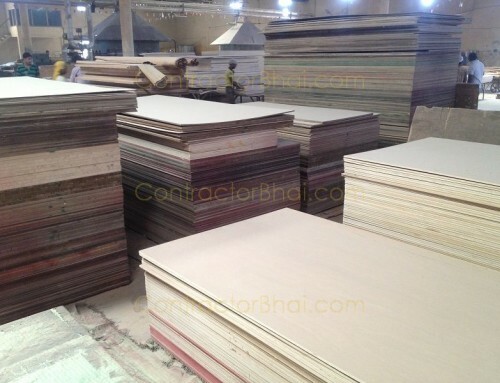 • Another way is the most basic and locally accepted classification of plywood i.e. Commercial plywood are characterized as interior MR i.e. Moisture resistant. Commercial plywood is used to make home and office furniture’s. 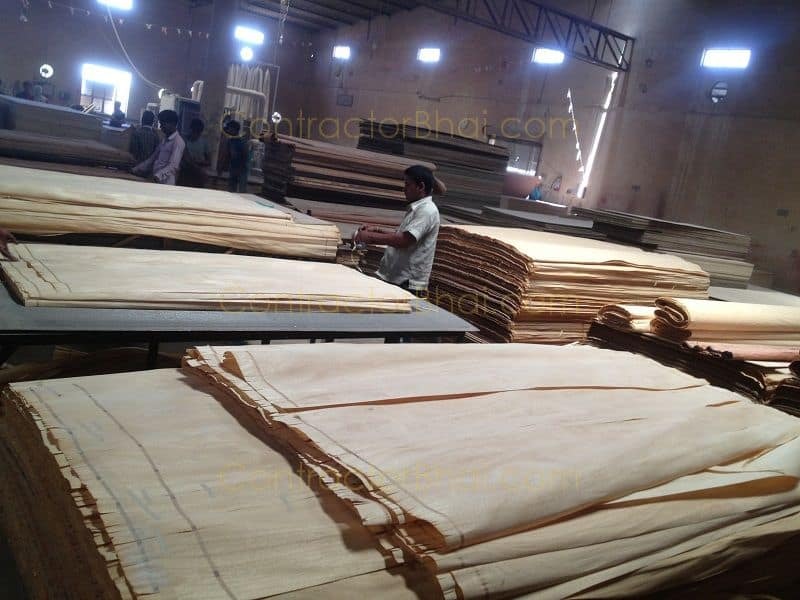 Marine ply is superior quality to commercial plywood and therefore it’s quite expensive too. 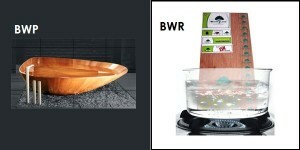 Marine plywood is sometime referred to as BWR (boiling water resistant). Marine ply is used where water contact is expected i.e. majorly for shipping industry i.e. to manufacture boats, ships, aircraft, etc. For home interiors too marine ply is used in wet areas like kitchens and bathrooms. Commercial ply are not good enough to be used in such wet areas since they will get damaged and stink too. Teakwood is mainly used for home interior furniture for the strength and durability it delivers. It is essentially used where strength is required like legs of bed, sofa, etc.and joints. Other species like CP, BTC, pine wood, and others are used if not Teakwood. For main door frames, Red Marendi wood or Sal wood is used. Well Sal wood is very rarely available now nd therefore rarely used. There are few who refer to plywood on basis of the wood origin or species like Gurjan plywood, Teak wood, Redwood plywood, and many more. You may have heard dealer’s mentioning 3ply wood 5 ply wood, etc. 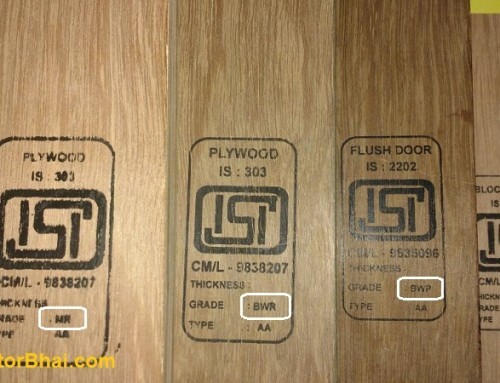 This is another way to refer for type of plywood. Plywood sheets are made by gluing several veneer sheets together. These veneers are thin sheets of wood obtained by rotary cutting of logs. Plywood is made up of these veneer sheets. The number 3,5,7, so on and so forth, refers to number of veneers used to make a ply. A plywood is made up of atleast 3 veneers which is refereed to as 3-ply-plywood. Plywood is always made up of odd number of veneers. 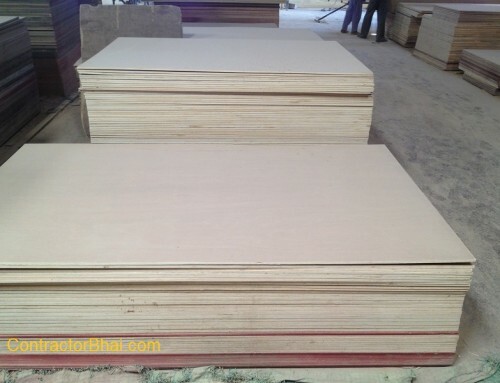 We are plywood manufacturer, If any enquiry feel free to call us. I want details of bhussa ply.what is rate of per squre feet. sir we dont use or deal in it, so we have no idea. Are you using this inside your home ? I want a list of plywood material and prices of it in sq ft.
Is there any 100% hardwood plywood and also marine grade? How to identify from stamps on the ply? 100% Hardwood will not be a good idea. I doubt if anyone makes it. Some part of non-hardwood will make plywood more (slightly flexible) durable. WHICH NAME CALLED 32MM WOODEN PLY AND WHAT’S RATE ?